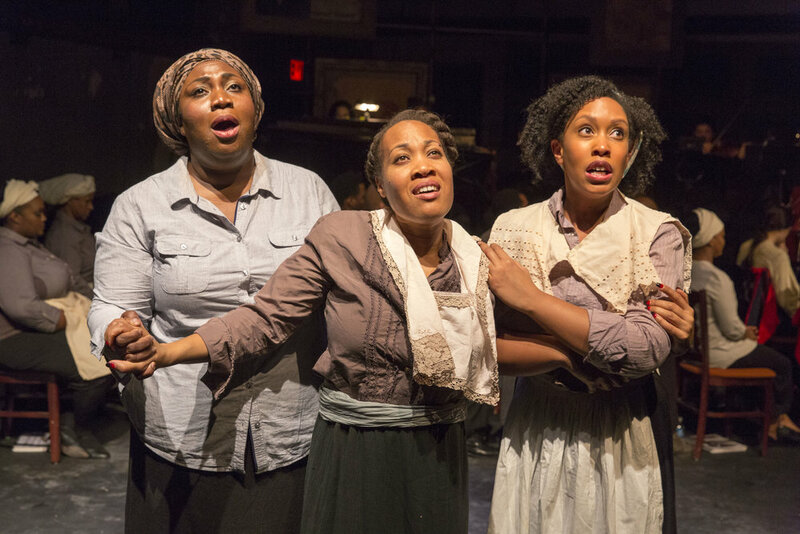 Harriet Tubman: When I Crossed That Line to Freedom is a two act theatrical work that tells of how a young girl born in slavery, becomes Harriet Tubman, the legendary Underground Railroad conductor. Based on recent Tubman biographies, the story is narrated and told in the context of Tubman’s tight-knit family of lively characters. 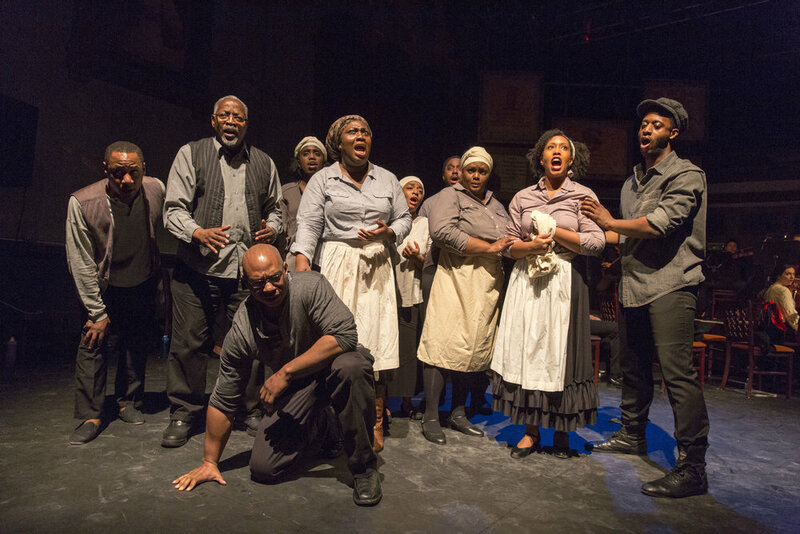 Harriet Tubman carries the universal themes of sisterhood, courage, sacrifice and doing what is necessary to keep a family together. 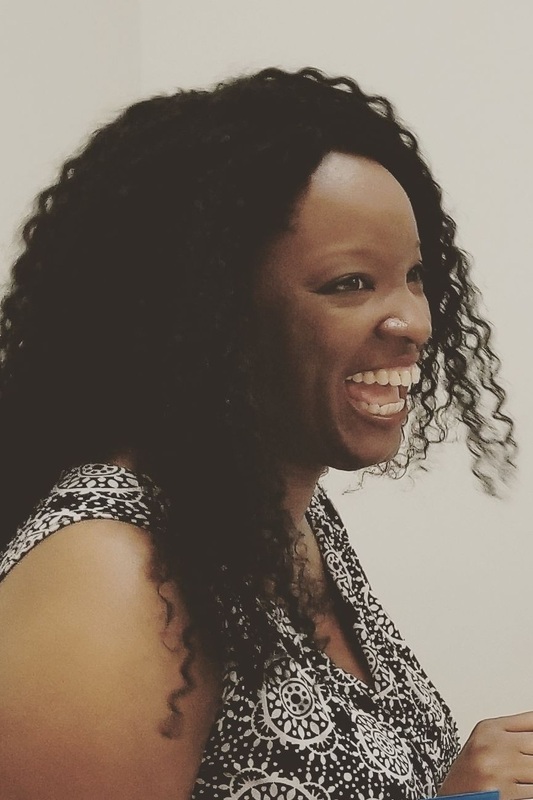 Moreover it is a heartwarming tale of two sisters vowing that nothing but death will separate them, despite the slavery threatening to tear them apart. 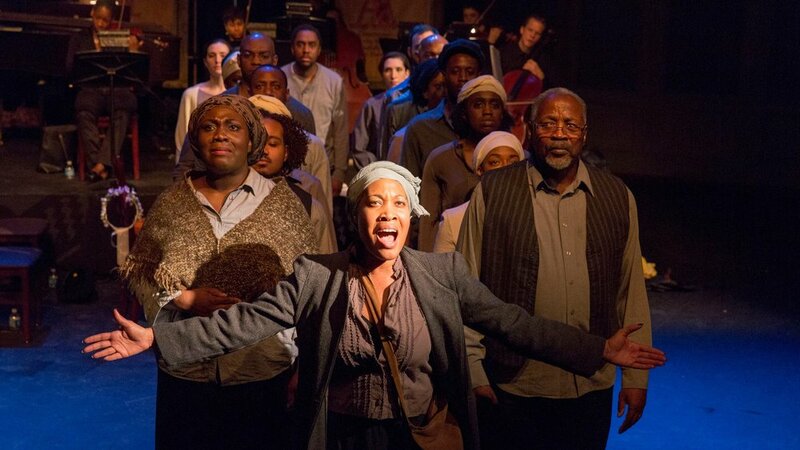 Commission	Harriet Tubman: When I Crossed That Line to Freedom was commissioned and developed by American Opera Projects in part with funds from the New York City Department of Cultural Affairs in partnership with the City Council and a generous grant from the National Endowment for the Arts (NEA) Art Works. www.arts.gov. 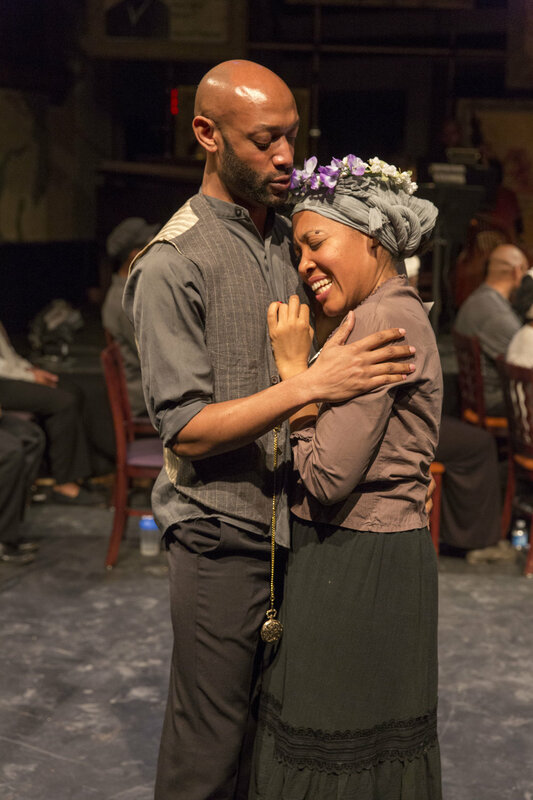 Roles	(14+) HARRIET TUBMAN (Araminta Ross), protagonist – soprano ; RACHEL ROSS, her younger sister – soubrette ; BEN ROSS, her father – tenor ; RITTIA ROSS, her mother – contralto ; JOHN TUBMAN, her suitor – baritone ; SAM GREEN, Preacher and abolitionist / WILLIAM STILL, Abolitionist –tenor/baritone ; CAROLINE, An older woman on the plantation – contralto ; KEZZIAH, A woman on the plantation – soprano ; ROBERT ROSS, Harriet’s brother / MALE RUNAWAY – baritone ; EDWARD BRODESS, Plantation owner / OVERSEER PITTS – tenor ; SATB Chorus of Slaves, free Negroes, slave owners, farmers, townspeople, children, and abolitionists. Note about Casting: This production takes place in the years leading up to the American. As a matter of historical accuracy, casting is race specific. Blind casting is not permitted.